Stan Pique was born and raised in France and started his career at Accenture Paris in 2000 working on large customer systems for EDF France. In 2004, Stan relocated to Accenture’s New York City office supporting the technology architecture team and later assumed leadership roles within the North America consulting practice. In his role, Stan managed Enterprise and Asset Management programs as well as Smart Grid integration. Stan is well versed in software delivery methodologies, PMO practices, and integration technologies. He holds a degree in Industrial Engineering from UTC Compeigne. Joseph Badalamenti has over 13 years of experience in the financial services industry with extensive experience managing large-scale technology transformation programs within capital markets, compliance (AML/KYC) and retail banking. Joseph began his career in Accenture’s Financial Services consulting practice where he received multiple industry certifications and served as Project/Program Manager for initiatives at Citigroup, JPMorgan Chase and the Federal Reserve Bank of New York. Since joining Monticello in 2017, Joseph has served as Program Manager for a large program in Bank of America Merrill Lynch’s Equity Derivatives technology space and is currently leading a team focused on integrating a new FX Options, FX Cash and Cash Bond trade capture application. Joseph holds a Bachelor of Science degree in Information Systems & Engineering from Lehigh University. 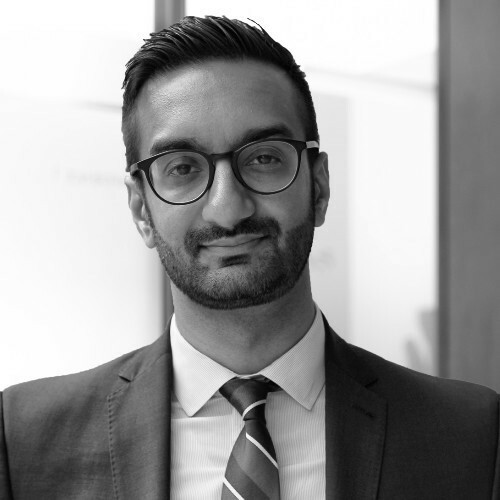 Mashhood Ahmed is an experienced financial services professional focusing on the management and delivery of large system implementations, program transformations, and process improvements of anti-money laundering (AML) and Consumer Banking compliance programs. He has extensive skills and over 13 years of experience in creating compliance programs, performing program efficiency assessments, and applying data analytics while working with, and leading large teams in a fast-paced, dynamic environment. He is especially knowledgeable in AML and Consumer Banking regulations and managing the remediation of regulator-driven enforcement actions at large financial institutions. Markus Buri is a seasoned financial services professional with over 20 years of experience. Prior to joining MCG, Markus worked at EY where he assisted clients in the implementation of complex regulatory rules, including Basel III, CCAR and QFC recordkeeping. He has a deep understanding of the regulatory landscape and the challenges financial services firms encounter during the scoping and implementation life cycle. Markus earned a BA from Fordham University with a major in Economics. Joanna Horowitz is a Senior Consultant in the Alternative Investments Advisory group and also serves as Monticello’s Corporate Responsibility & Diversity lead. As a consultant, Joanna brings more than a decade of experience in marketing and trading to her advisory work. As the firm’s Corporate Responsibility & Diversity lead, Joanna brings a passion to grow the diversity and inclusion efforts within the firm and across Wall Street. Prior to joining Monticello, Joanna managed the marketing and investor relations functions for a boutique hedge fund. She was responsible for client relations, marketing strategy and sales implementation for asset growth leveraging her hands-on experience with global markets and trading activities including equities, hedges, derivatives and FX trading.